Welcomed Gwen to thos crazy furry/fluffy fandom! Im been here for a few years so if you have any questions dont be afreaid to ask me. 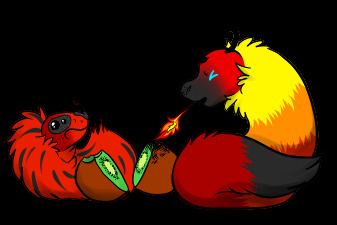 Not sure if you are aware but newbie breeding season will begin in march and since you dont have any breedable wyrms you can use mine to creat one for yourself if you would like. Here is my page just in case.